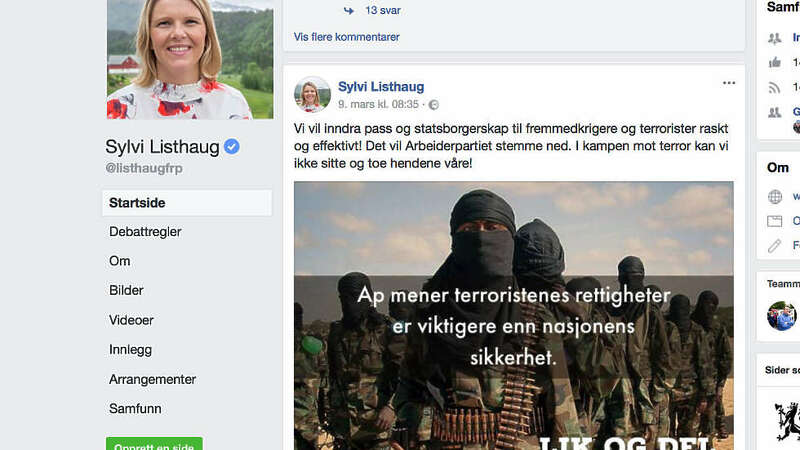 Norway’s right-wing government could be ousted by a vote of no confidence in its Minister of Justice, Sylvi Listhaug, after she posted on Facebook that the opposition Labour Party valued the rights of terrorists higher than national security. In 2011, 69 children and young people were killed by far-right terrorist Anders Behring Breivik in an attack on the Labour Party’s youth wing on Utøya. Here’s more from me on the Briefing on Monocle 24.